A showing of the classic film "Gone with the Wind" has been canceled for next year at the Orpheum Theatre in Memphis out of concern that the film is "insensitive" due to its depiction of slavery. The Orpheum Theatre has shown the film each year for the past three and a half decades, but that will come to an end in 2018. Theatre owner Brett Batterson said that the film was inappropriate for the Memphis community. Officials at Memphis' Orpheum Theatre have announced that the film will not be shown during its summer movie series in 2018. Theater president Brett Batterson says in a statement that "the Orpheum cannot show a film that is insensitive to a large segment of its local population." Batterson blamed a social media campaign for next year's cancellation. I mean, good grief. Isn't everything problematic if a person tries hard enough? "Gone with the Wind" needs to be viewed in context of both the time it was made (1939) and the subject matter of the story. Also, there's something terribly ironic about a film featuring the first African-American to win an Academy Award (Hattie McDaniel, who played the role of Mammy and won Best Supporting Actress) being canceled due to...racial insensitivity. 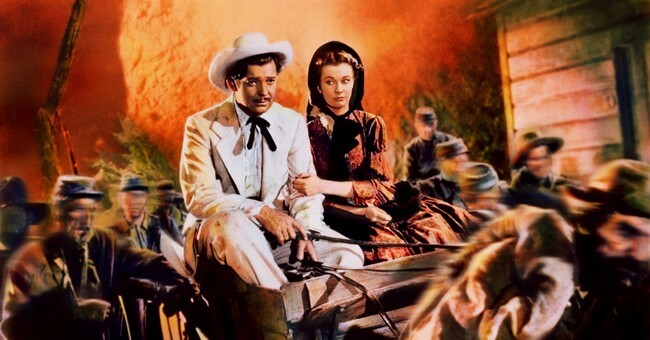 "Gone with the Wind" is a classic film that has certainly seen its fair share of controversy. There's no denying this, but it's still a quality film. Society changes over time. Hardly anyone born before the 20th century would have sufficiently "woke" views by today's standards on every issue. That doesn't mean that they're not worth watching, reading, etc. It'd be better to actually watch the film and then discuss how things have changed in the past 80 years than to just shove it away and pretend it was never made.